We are back in Providence — getting used to snow and cold — enjoying being close to family and friends. We are living in the former Union Baptist Church, now condominiums. 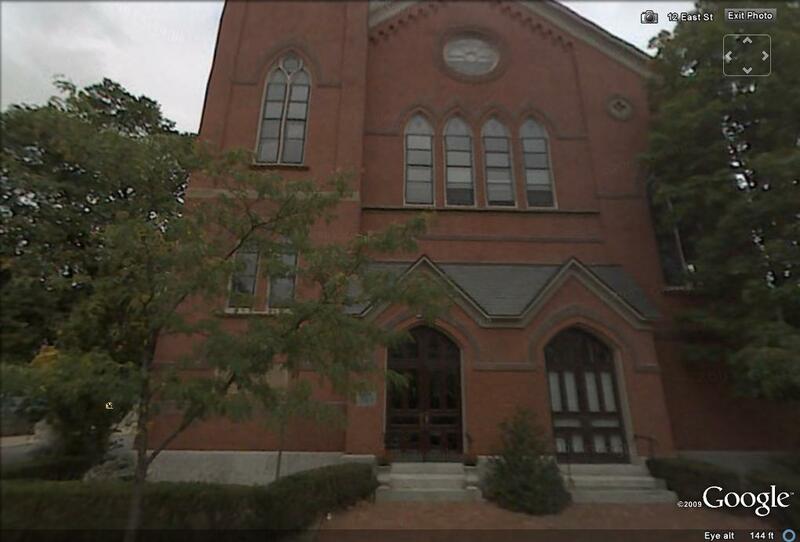 Here is a Google Earth street view of the building. Our bedroom window is the flower petal window at the top.